On October 19, Mayfair hosted a Continuing Health Education evening at our Mayfair Place location to highlight advances in breast imaging. During the event, Dr. Steve Garry, Mayfair’s head breast imaging radiologist, discussed a variety of imaging services and what they mean for diagnosing breast cancer. 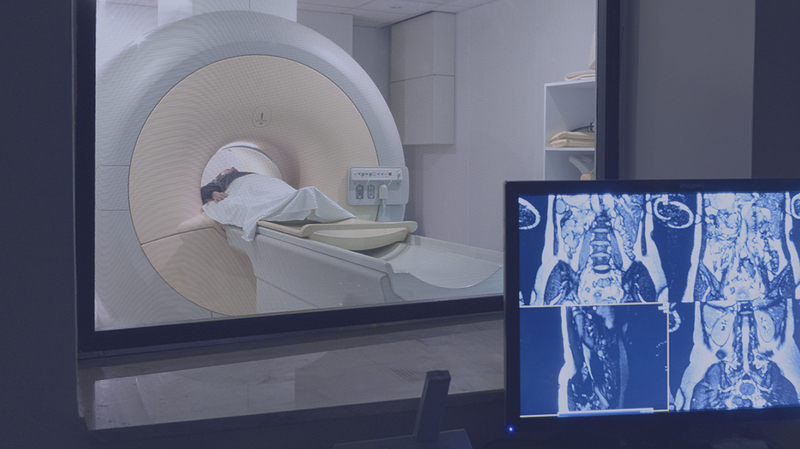 While mammography is still the gold standard for breast cancer screening, there are a number of new breast imaging services that, when used in conjunction with mammography, yield impressive results. In particular, Dr. Garry discussed Digital Breast Tomosynthesis (DBT), describing it as “the future of breast imaging,”and Automated Breast Ultrasound (ABUS). Like mammography, DBT involves compression of the breast and even utilizes the same machine. In the case of DBT however, computerized detection plates take multiple images in an arc providing pictures from numerous different angles. Then, digital technology combines the images, adding them together and sharpening certain areas and blurring others. This produces a more detailed image that helps to better illuminate the presence of cancers, without increasing radiation levels or scanning time. This increased level of detail is especially important when scanning dense breasts, because the more dense tissue that is present the higher the risk for breast cancer. 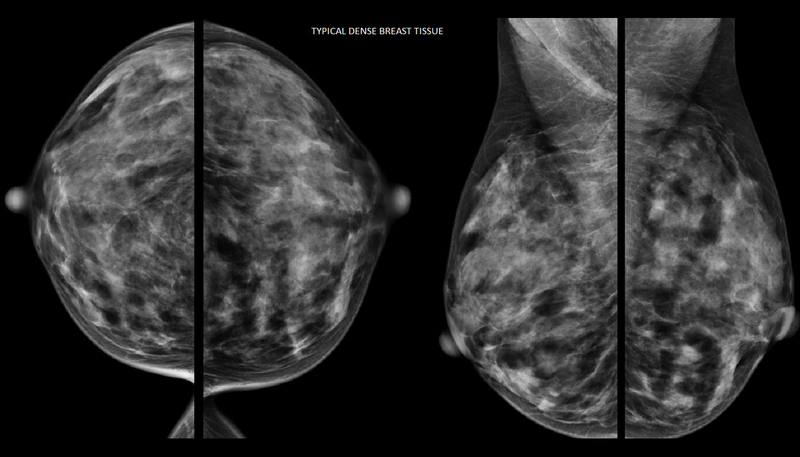 Breast density is not a measure of how breasts look or feel, rather it describes how well an x-ray travels through the tissue. On a mammogram, fatty tissue looks dark, while both dense tissue and tumours look white, making it hard to differentiate between the two. The white-looking breast cancers are easier to see on a mammogram when they're surrounded by dark-looking fatty tissue. An example of DBT’s increased level of detail is highlighted in the images below. A 54 year-old woman with dense breast tissue had Screening Mammography exams in 2014 and 2015, which were negative. In 2015, she also underwent DBT which reveals an obvious cancer (invasive ductal carcinoma) – that may have been present in 2014. Dr. Garry also discussed Automated Breast Ultrasound (ABUS) as being another breast imaging service that is especially beneficial to women with dense breast tissue. A high breast density (Volpara) score can make a mammogram harder to read and ABUS allows the technologist to check the breast from a variety of angles offering more accurate interpretations. It may be recommended as a supplement to a screening mammography for women who have high risk factors for breast cancer (like a strong family history) combined with a Volpara C breast density score, and women with a Volpara D score. Images are acquired with a large transducer that is placed on the breast in several different positions. They are then processed at a workstation and reviewed, removing operator bias and providing a uniform assessment process. ABUS is also fast and almost painless, looking at both breasts in about 15 minutes. According to Dr. Garry, a number of studies indicate that ultrasound is one of the most promising adjunct screening modalities because of its benefit for dense breasts and its low cost and availability. In the example below, a 43 year-old woman, during a routine physical exam, asked her doctor to have a mammogram. While her doctor discouraged her, saying it wasn’t necessary, she insisted and came for screening. Her mammogram was inconclusive, but thanks to an ultrasound, a small invasive ductal carcinoma was discovered early. In the United States, several states have laws mandating that doctors inform patients about their breast density. So far, no such law exists in Canada, but due to the relationship between breast density and cancer risk, it may in the future. In the meantime, between mammography, DBT and ABUS, there are many opportunities to get the best diagnosis for each patient. 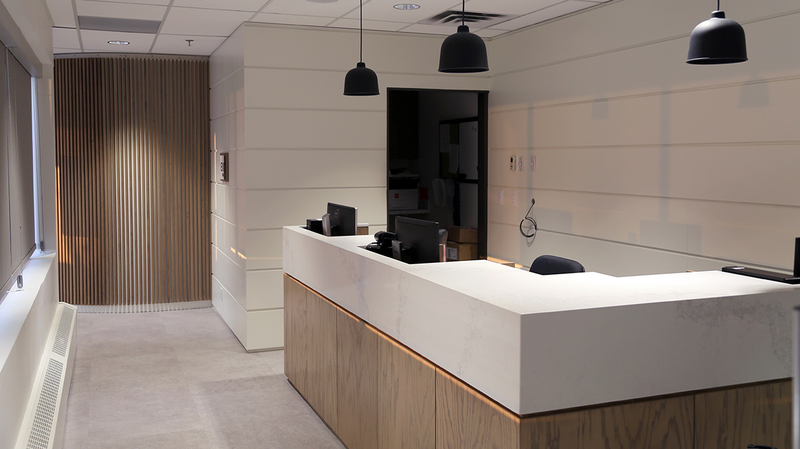 Mayfair offers Tomosynthesis at all of our mammography locations, and ABUS locations can be viewed here. Both of these exams are listed on our General Requisition under Breast Imaging, simply check the appropriate box. Click here to download the requisition.